I discussed the latest quantum spookiness experiment, and now MIT complexity theorist Scott Aaronson explains it as Bell inequality violation finally done right. He says this could get a Nobel Prize. My position is that it just confirmed what everyone thought since 1930, except for Einstein, Bohm, Bell, and a few others, so it is not that big a deal. Well, I’ve also read some of Einstein’s correspondence from around the same time. He was clearer than Bohr, but as far as I can tell, neither he, nor Bohr, nor anyone else at that time clearly recognized that you could have something intermediate between “local realist” and “spooky” — something that, on the one hand, didn’t involve any superluminal signalling, but on the other hand, would require superluminal signalling to simulate in a classical universe. That had to wait for Bell. By spooky, he means action-at-a-distance, which most physicists rightly reject. By “local” he means no superluminal signaling, but more generally it means that causality is confined to the light cone, as in special relativity. As I use the term, “local realism” is not a “physics definition,” it’s a math definition. And Bell’s theorem is not a “physics theorem” (whatever that means), it’s a math theorem that’s been proved and will stay proved until the end of time. If you want to argue about the theorem’s relevance to physics, you can do that, but you don’t get to negotiate the definition of “local realism,” because it’s now part of math. This is a little sleight of hand to let him study mathematical complexity, regardless of physical relevance. The Heisenberg uncertainty principle says that you cannot precisely measure an electron's position and momentum at the same time. Local realism is the idea that the electron really is a particle with definite positions and momenta at all times, and the uncertainty principle is just a limit on our observation abilities. 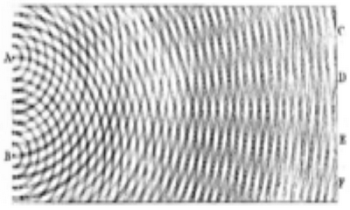 The conventional quantum mechanical view (in eg the Copenhagen Interpretation) is that the electron is not really a particle, but some sort of wave-like object that does not necessarily have definite physical values unless observed. Most physicists believe in locality (such as nothing going faster than light), and in realism, in the sense that electrons are real objects and observations are reflecting some reality. We do not live in an article simulation, or in the imagination of some super-being, or just some sort of simplified appearance for supernatural events. Physicists believe that they are studying the real world. So it is a little jarring to hear Aaronson say that local reality has been disproved. It is even more annoying to learn that he defines realism to be some stupid non-quantum mathematical model that has been shown not to work. So when he says local realism has been disproved, he just means that some stupid mathematical model does not work. A better conclusion is that the mathematical was unrealistic. The physical world is realistic, by definition. For Aaronson, all of this is supposed to convince you that quantum computers will create a new super-Turing complexity that is intermediate between “local realist” and “spooky”. But there is no proof that there is any such thing. A better view is that the world is realistic and not spooky. Bell had a clever idea for disproving quantum mechanics, but he turned out to be wrong, as everyone expected. 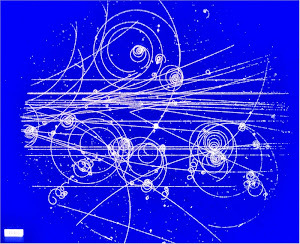 None of this gives any reason to believe that electrons can be half-spooky or that (super-Turing) quantum computers are possible. End of story. I just opened a fortune cookie: "Example is better than perception." No lie.